(TibetanReview.net, Jul20, 2017) – China was reported to have moved tens of thousands of tonnes of military vehicles and equipment into Tibet since it became locked in a border dispute with India in early June, according to Hong Kong’s scmp.com Jul 18, citing Chinese state media. It said the vast haul was transported to a region south of the Kunlun Mountains in northern Tibet by the Western Theatre Command – which oversees the restive regions of Xinjiang and Tibet, and handles border issues with India – the report quoted PLA Daily, the official mouthpiece of China’s military, as saying. It cited the report as saying the project took place in late June and involved hardware being moved simultaneously by road and rail from across the entire region. 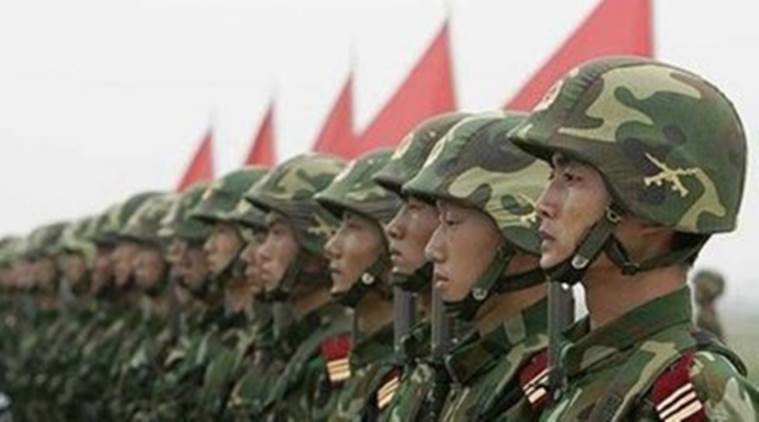 On Jul 17, state broadcaster CCTV reported that Chinese troops had taken part in a military exercise during the month, using live ammunition on the Tibetan plateau. The report said the location was not far from where Chinese and Indian forces remain locked in a stand-off over a disputed border area at the tri-junction with Bhutan. The dispute area, called Doklam, belongs to Bhutan but is claimed by China which calls it Donglang. India stepped in to support Bhutan when the Chinese PLA began building a road in the area as much to support Thimpu as because the Chinese move posed a serious strategic threat to its territorial integrity. The PLA Daily report has not said whether the movement of the military equipment was to support the exercise or for other reasons, although the implication was obvious. Besides, the scmp.com report cited Ni Lexiong, a Shanghai-based military commentator, as suggesting it was most likely related to the stand-off and could have been designed to bring India to the negotiating table. “Diplomatic talks must be backed by military preparation,” he was quoted as saying. The report also cited Wang Dehua, an expert on South Asia studies at the Shanghai Institutes for International Studies, as saying the scale of the troop and equipment movement showed how much easier it now was for China to defend its western borders. And explaining how different the situation is now, compared to that in 1962, Wang has said that despite China’s military superiority in the Sino-Indian border war at that time, logistics difficulties contributed to it pulling back and declaring a unilateral ceasefire. Wang has said the Chinese military can now “easily transport troops and supplies to the frontline, thanks to the much improved infrastructure including the Qinghai-Tibet railway and other new roads connecting the plateau to the rest part of China”. India, on the other hand, only recently began planning to develop transport infrastructure near its border with Chinese ruled Tibet. Meanwhile, in his latest remark on the Doklam standoff, continuing since Jul 6, China’s Foreign Ministry spokesperson Lu Kang has said Jul 18 that India should not take its military’s trespass into Chinese territory as a “policy tool” to achieve certain political purposes. Some foreign diplomats based in China have said the incident is “shocking” and “difficult to understand,” and have sought verification from China, China’s official Xinhua news agency Jul 19 cited Lu as saying. “The essence of the incident is clear. Indian troops crossed the demarcated and mutually recognized border in the Sikkim section,” Lu was reported to have maintained. China cites a highly questionable 1890 colonial treaty between it and Britain to assert its territorial claim over Donglang, its name for Doklam. The treaty could not be enforced even at that time as it was repudiated by the countries whose territorial interests it sought to compromise and was meant only to serve British colonial interest.